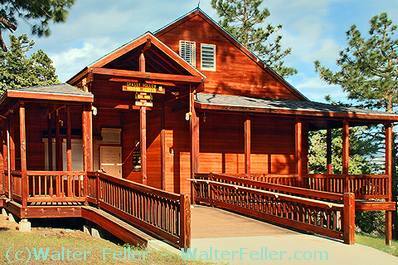 Grassy Hollow Visitor Center is located on Highway 2, 6 miles west of the town of Wrightwood, CA. Exhibits tell the story of this rugged, wind-swept area. Follow the animal tracks from the interpretive panels, under the trees (yes! indoors!) to the forest mural where you'll discover facts about the animals who live here. You'll find a wide variety of books, Smokey dolls and other great items in the gift shop. Subject to closure in periods of high snowfall. Come on in!